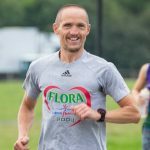 This is a list of members of Tyne Bridge Harriers who participated at a parkrun on 2018-08-18. (Former members who no longer registered with EA will be removed from the results). A total of 166 runners took part. A total of 539 runners took part. A total of 377 runners took part. A total of 381 runners took part. A total of 229 runners took part. A total of 38 runners took part. A total of 419 runners took part. A total of 282 runners took part. A total of 40 runners took part. A total of 342 runners took part. A total of 80 runners took part. A total of 53 runners took part. Congratulations to everyone who ran a parkrun PB (PB’s are event specific). And thanks to all the parkrun volunteers and sponsors.